IGN is reporting that Adi Shankar, the producer behind Netflix’s Castlevania, is planning an adaptation of another beloved video game franchise. Adorned in what appears to be his own take on Paul Stanley’s Starchild makeup, Shankar revealed that he’s developing a series based on Capcom’s Devil May Cry. The new show will be share a multiverse with Castlevania, which suggests the possibility for multiple crossovers. According to Shankar, the shared universe is being referred to as “the bootleg multiverse.” If you’re worried about how Devil May Cry might be handled given the lackluster history of video game adaptations, you might take comfort in learning that Shankar is right up there with you. “I’ve acquired these rights [to Devil May Cry] myself so that the jabronis in Hollywood can’t f*** this one up too,” he said. It also helps that his work on Castlevania has been critically lauded since the series debuted on Netflix last year. Over two seasons, it’s been hailed by several outlets as one of the best video game adaptations of all time. The streaming platform recently ordered a third season, set to premiere in 2019. The Devil May Cry video game series was created by Hideki Kamiya and released its first entry in 2001. The game was initially a PlayStation 2 exclusive, but it was later released as part of a cross-platform HD collection. It has thus far spawned three sequels and will release a fourth, Devil May Cry 5, on March 8, 2019. The game will be available on PlayStation 4, Xbox One, and Microsoft Windows. It’s not yet clear if Devil May Cry will air alongside Castlevania on Netflix or if Shankar is looking for another home for the show. 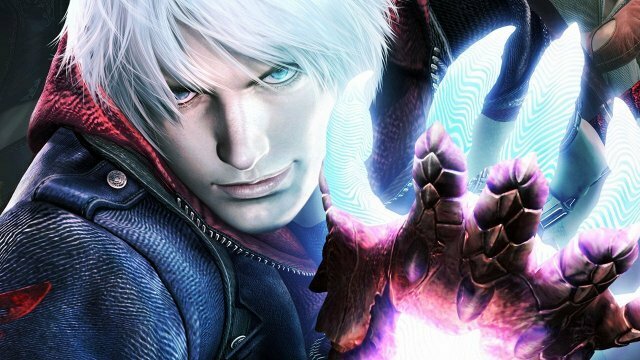 Are you excited for a Devil May Cry series? Which characters from the games would you most like to see? Let us know in the comment section below!